Procter & Gamble found that a large number of people were seeing its ads as often as 20 times a month, instead of the three-times a month it previously assumed. 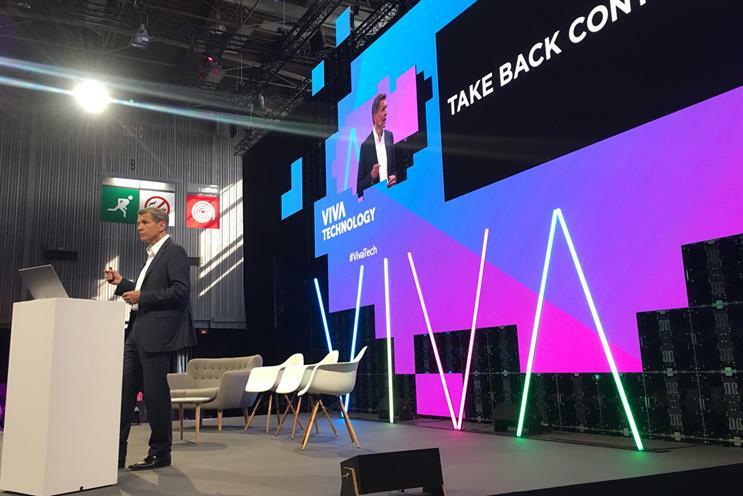 "We were annoying the hell out of people," the FMCG giant's chief brand officer Pritchard (pictured) disclosed this morning at VivaTech in Paris. While P&G's data showed it was reaching its audiences an average of three times a month, the average hid the fact that many people were being reached 10-times a month and even more were being reached 20-times a month. "It's the biggest problem in the industry because it annoys our consumers - there are too many ads," Prichard said. The waste and the negative impact is unacceptable, Prichard insisted, and outlined four key actions P&G's marketing team was taking to seize back control of data and reinvent its advertising. Digging deep into data and analytics has result in precision that eliminates waste, Pritchard said. "In China we started directly buying most of our media and the resulting real-time viewing data has enabled us to do propensity modelling. As a result, we've saved 30% of digital waste in China and increased reach by 60%." When asked by Campaign, Pritchard explained that the overall effect did not mean a reduction in the marketing budget. "You can cut waste and reinvest in reach," he said. "In the 1950s, ads were two minutes long, today we have two-second ad, how innovative is that, really?" Pritchard asked. "As media got more complex, we added more ads. More clutter. More noise. This doesn't break through at all; it is just more annoying for consumers. We want to do less, but doing it with much greater impact." As an example, Prichard shared the work Olay has done around the world. The brand was running six different ads at a time in every different market, and it was changing it every few months to keep it fresh. But the result was just adding to the clutter. So, it "turned down the noise" and launched one national ad for the entire year. But the brand then stepped up its one-to-one engagement. One major way was via Olay Skin, an AI-powered app that diagnoses skin conditions via selfies and compares it with other skin types. It then provides product and skin care advice. "It's a frightening experience because you see just how old you really look - not Maurice [Lévy] though, it says his skin age is 29," Prichard laughed. "But in all seriousness, it's not an ad at all. And it's a useful and engaging experience for consumers." Olay also used data analytics to choose the strongest and most influential opinion leaders. "This pulls in people who want to be engaged with the brand. And it’s working. As soon as Olay turned this on the business went from declining to growing. Over the past year, it grew 10% worldwide. Another of our skincare brands that uses this approach, SK2, has grown by 30% for the second year in a row," Pritchard said. "We’ve been outsourcing too much of our work. We need to get P&G people to be more hands-on. There have been too many touchpoints between brand managers and consumers and they are spending their time project managing and not brand managing," Pritchard said. He wants to transform them into brand entrepreneurs who aren't afraid to get their hands dirty. "We have to start working differently with our agencies, so P&G does what it does best and our agency partners do what they do best," he said. Part of this is to have more of the company's media planning done in-house and doing more media deals directly. "If a startup can buy digital media, why can’t the people on Tide, Fairy and Head & Shoulders do the same thing? They can and they will," Pritchard said. P&G is also working at transforming how its creative relationships with its agencies work. "We want to invest a fixed amount into work that requires experienced talent, but that investment and work can flow between agencies," he said, congratulating Publicis Groupe on the launch of Marcel as a great way to open source within agency groups. Marketing does matter, Pritchard insisted, especially when it's a force for good as well as a force for growth. "Consumers want to know what our values are. Our points of view on issues such as the environment, gender and race. Our leadership can impact each of these things," he said. Always' "Like a Girl" campaign has succeeded in changing the phrase "like a girl" into a positive expression for 70% of people. Before the campaign started, it was positive to just 19%. "Marketing still matters and more than ever," he reiterated. "Marketing is undergoing mass disruption. Mass because it's mass media and mass because it's disrupting on a mass scale. And we have to lead it."